Brunch seems to be the new favored meal of weekend dining, with the Tampa restaurant scene offering some great new Brunch options. It's a great way to kick off your weekend with a nice blend of breakfast and lunch selections. Some of the best restaurants in Tampa have expanded their lunch/dinner menus, to now offer inspired Brunch menus. If you are not quite a "breakfast person", there's no need to fret. Here's a list that includes both traditional Breakfast favorites and more creative fare, with something for everyone to enjoy! Check out an updated list of some of the Tampa's best brunch spots - served "sunny-side up"! Jackson's Bistro Bar & Sushi offers an amazing buffet, complete with an omelet, waffle, pasta, and carved meat stations, plus fresh sushi bar, and waterfront dining! Sip Mimosas as you enjoy a scenic view of Tampa's waterways. From sushi to decadent desserts, you'll enjoy the food and love the view! With a vast array of breakfast and entree options, it's the perfect place to take your out of town guests, take a break from the hectic work week, or celebrate a special day! Oystercatchers is the crown jewel of brunch buffets, complete with Champagne, Bloody Mary, or Mimosa drinks included! Indulge in a high-end brunch experience, overlooking the water and offering a morning to remember. Filled with lots of fresh seafood choices, and seven different stations with each offering a different culinary selection - it's grand in every sense of the word. 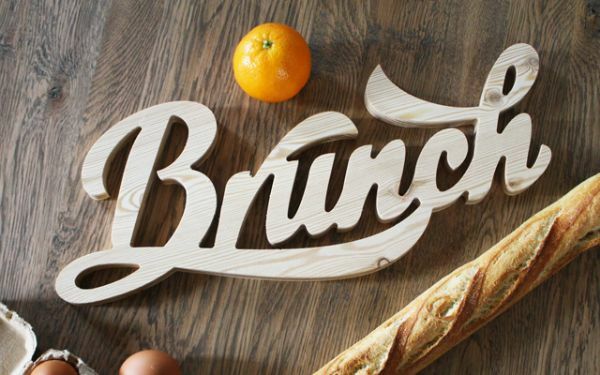 If you want to spoil someone who loves Brunch, this is the place to go. Save room for dessert - and a nap! Rusty Pelican offers an array of made-to-order dishes. Indulge in traditional breakfast plates like waffles, omelets and fresh seasonal fruits or treat yourself to fresh seafood at their Raw Bar, featuring juicy shrimp, oysters, crab legs and more. Add a twist to your Sunday brunch with complimentary champagne and mimosas. They offer an all you can eat, made-to-order brunch that rises above the traditional breakfast buffet spread. The Southern-inspired cuisine at Roux is a favorite for regional food aficionados. Their brunch selection has a new spin on signature dishes like their Abita beer-battered crab beignets, eggs nouvelle or their crawfish and alligator hash dishes. Desserts include a bread pudding or chocolate grand mariner creme brulee. It's the Old South meeting South Tampa! Noble Crust offers farm-fresh flavors crafting signature dishes that "make it difficult to taste where Italian ends and Southern begins". Their brunch features a wide variety of items from staples, salads to pizza. If you're not famished, their lil' sumpin menu has a la carte dishes to satisfy your smaller appetite. Oxford Exchange is the "it place" for Breakfast or Brunch, featuring a menu of fresh, simple meals that feature the best seasonal, local and organic ingredients. Try their breakfast flatbread! You'll love the ambiance, as you enjoy your time in a European-inspired space featuring a restaurant, bookstore, coffeehouse & shop with decor & gifts. It's a perfect treat for "brunch with the girls", business meeting, or a great place to really impress your out of town guests. Datz offers a wonderful adventure for the breakfast and foodie lover alike! With so many interesting "must try" items, you will need to plan for return visits. Just a few of the decadent offerings to consider - Short Rib Biscuit Benedict, Sriracha Egg Sammie, Waffles, and Creme Brulee French Toast. And their bakery...not enough adjectives to describe their decidedly decadent homemade desserts! Most people think of Ella's American Folk Art Cafe for dinner. But ask the many diners that line up for Soul Food Sunday and they will whisper not to tell anyone that Ella's serves a great Brunch. The Soul Food Sunday menu features entrees, salads, and sides. Their Fried Chicken and Waffles will make your day shine - 3 pieces of Fried Chicken on top of a Belgian Waffle, served with Bourbon. And remember, keep it between us - the line is long enough! This Seminole Heights favorite continues to step up their game. Make Ella's your next Brunch stop! Brunch makes a splash at WTR Pool & Grill at The Godfrey Hotel & Cabanas Tampa! Located on the waterfront of Tampa, enjoy fresh salads, sandwiches, and specialty dishes like Lobster & Shrimp Frittata, Crab Benedict, Caramelized Apple Pancakes, and if you love bacon - their Brown Sugar BLT is a sweet slice of heaven! Start your day with a jog or walk along the nearby trail and then reward yourself with a cool brunch and tropical view. Most people wouldn't think of Ciccio's Water for brunch, but if you try it once, you will agree - their pancakes are to die for!! Their Brunch menu has lots of great choices, and their entrees don't weigh you down. Bold flavors, with a healthy twist, and a cool vibe make this one of Tampa's favorite Brunch spots. It's Greek to me - Tampa favorite Acropolis Greek Taverna is now open for Brunch at several of their locations. Who knew after those late nights drinking ouzo and breaking plates, you would find a Greek restaurant up and at 'em on a Sunday?! Acropolis Taverna makes it happen every Sunday, with a fantastic Brunch menu bursting with flavor, including their special Greek omelets, salads, sandwiches and more! Are you looking for an Italian brunch like Grandma used to make? Head to Maggiano's Little Italy in the Westshore District to try some of their decadent brunch menu items like the lemon ricotta pancakes or the creme brulee french toast! Now through February 27th entree specials include steak and ravioli, Johnny's Carbonara and chicken maderia. Seasonal brunch items include strawberry cheesecake pancakes, lobster and applewood-smoked bacon benedict and an Italian breakfast panini. This is an upscale brunch that is worth treating yourself for! This delicious brunch features unique culinary dishes like a crabcake benedict, a red velvet Belgian waffle and lemon ricotta pancakes. Gluten-free dishes are also available. If you love brunch, this will soon become one of your favorites! This wonderful French bistro prepares best quiche this side of France! You'll also love their great selection of breakfast entrees, crepes, sandwiches and salads, perfect for any time of day. Save room for a taste of their beautiful and amazing French desserts and pastries - worth extra steps on the treadmill! No French meal is complete without a glass of wine or champagne, and So Gourmet offers a great wine selection to accompany your brunch.So Gourmet is located in South Tampa on S Dale Mabry Hwy, and it has fast become a favorite South Tampa brunch spot. (but shhh - I don't want them to run out of my favorite quiche!). The Independent Bar and Cafe, aka "The Indie", as it's known around town, is a craft brew and live music haven by night, and wakes up early to offer a great breakfast in a comfortable and ambient atmosphere by day. With no TV screens (gasp! ), the Indie invites you to have an undistracted conversation, while chilling with their gourmet coffee, tea, fresh baked goods, and reasonably priced breakfast items. Try their Bavarian Breakfast or Chocolate Croissant to get your day going! Daily Eats serves a hearty, and healthy breakfast menu ALL DAY - EVERYDAY! The lines are long for a reason - with seven different kinds of Benedict options, lots of Griddle choices and awesome omelet options, this is a Tampa local favorite breakfast spot - any time of day! First Watch is Tampa Bay's answer to health-conscious breakfast and brunch lovers who desire a healthy twist to old school breakfast favorites. You'll find organic and vegan options and healthy ingredients in every dish! They have perfected a delicious healthy breakfast/brunch/lunch menu, that won't clog your arteries or rock your calorie count! Multiple locations throughout Tampa, make this an easy stop. Perhaps the most iconic place in Tampa for breakfast is The Village Inn, aka "the Pancake House". With a big, hearty breakfast menu filled with large selection of omelet platters, special skillets, and their famous pancakes, it is constantly filled with people of all ages. Open 24 hours a day, 7 days a week, it's the perfect place to take the kids for breakfast with the family or to have a late night snack after the clubs close - and everything in between! The Brunchery, offers a cozy, farm cottage atmosphere to enjoy their special homemade "Quiche of the Day", large omeletes and breakfast platters, served with homemade muffins. Their Hollandaise sauce is made from scratch and is the perfect way to top off their many specialty omelets. For a real treat try their Signature French Toast or Waffle a' la Brunchery! Be sure to check out several of these brunch spots in Tampa and let us know about your favorites! Connect, share and discover more of Tampa with 813area!